While we’ve discussed different ways to grow your audience on Twitter, both unpaid and paid, we’re now going to take a look at Twitter as a sales tool, a place where you can make a deal. During this exciting, money-loving chapter, keep in mind the 80/20 rule discussed earlier. 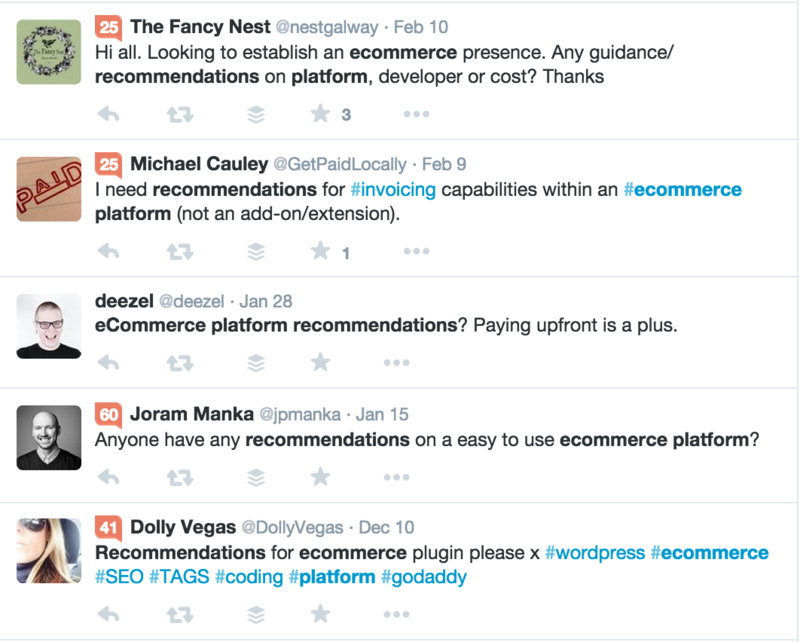 Make sure only 20% of your Twitter activity is product-driven. The rest should be about providing value to your audience. Depending on your business and the products or services you have to offer, you may find direct opportunities to put your business in front of people ready to buy. One way to do this is by using Twitter’s search functionality to find people who are looking for the products or services you offer. Modify these searches until you find people who are looking for the products or services you offer. Save the searches in Twitter or in a Twitter management tool like TweetDeck so you can continually monitor them and respond to inquiries quickly. If you can’t find Tweets to reply to, then your next best option is to engage with your ideal customers. For example, let’s say that your ideal customer is a CEO in the finance industry. 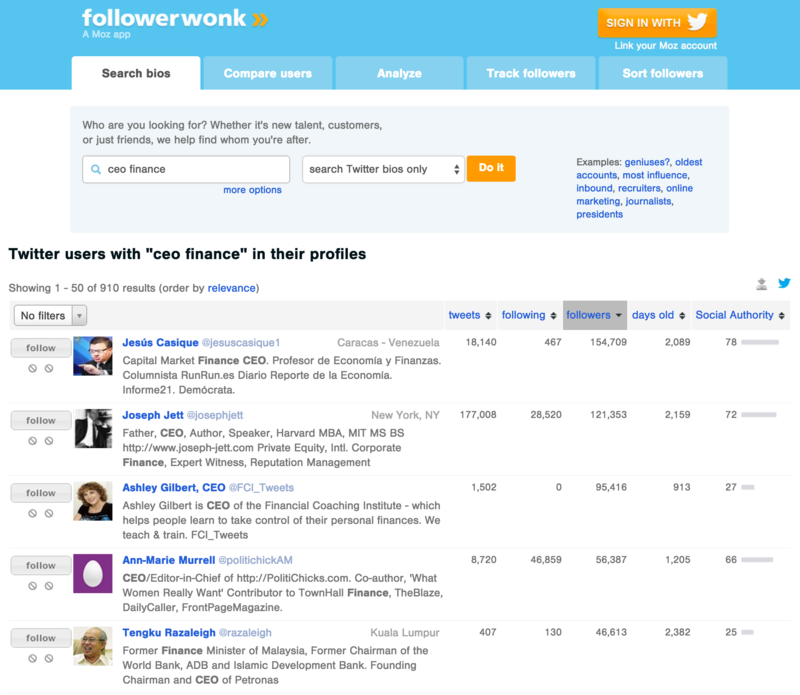 You can use tools like Followerwonk to find them on Twitter. You can click on each ideal customers’ profiles, follow them, or add them to a private Twitter list, and then engage with them on Twitter through casual conversation. Alternatively, you can use Audiense to automate the creation of Twitter lists based on criteria that matches your ideal customers. With tools like Audiense, you can create reports on users who have engaged with you providing an opportunity to gather possible future customers. If you have a Shopify store, you can view instructions on how to implement Twitter Cards on your website. Otherwise, you will want to review the code specified in the Twitter Developers documentation section for the type of Twitter card you want to install on your website. The Product Card for your products and the Summary Card for your content should be all you need to get more visibility on Twitter when you or your website visitors share your pages on Twitter. EDITOR'S NOTE: In 2016, Twitter announced it would cease development of the Buy Button. In January of 2017, the company announced it would be phasing out the feature entirely. While you may come across mentions and images of Buy Button, it is no longer available. It should also be noted that Twitter will maintain functionality for donations.